DRB DONGIL super star v belt from South Korean Dongil Brand Factory located in China. DONGIL SUPERSTAR (RED) Agricultural V–belts, Common M, A, B, C, D, E type V Belts, Dongil Industrial Belts, Automative Dongil V Belts, DRB Green Agricultural Belts are specially structured by powerful aramid cord based on the outstanding performance . 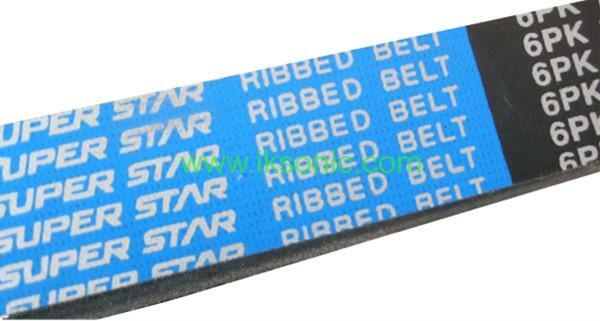 dongil super star ribbed belt power transmission belt PK belts manufacturer. Dongil super star rubber V belt from south korea drb rubber belts factory SPB3150 SPB2450 SPB4250 and so on. The Largest Sales agent company IKSONIC offer original Dongil V Belt Super Star for cheap price in the world, We do wholesale Various High Quality Dongil V Belt Super Star Products from Original Factory , these Dongil belts are made from synthetic rubber with superior resistance against heat and climate changes, provide outstanding quality.